Avery Lane offers the opportunity for women to see the progression of abuse and dependence in themselves and in others. Our Intensive Group Psychotherapy also gives our participants an opportunity to experience their success and the success of other group members in an atmosphere of support and hopefulness. 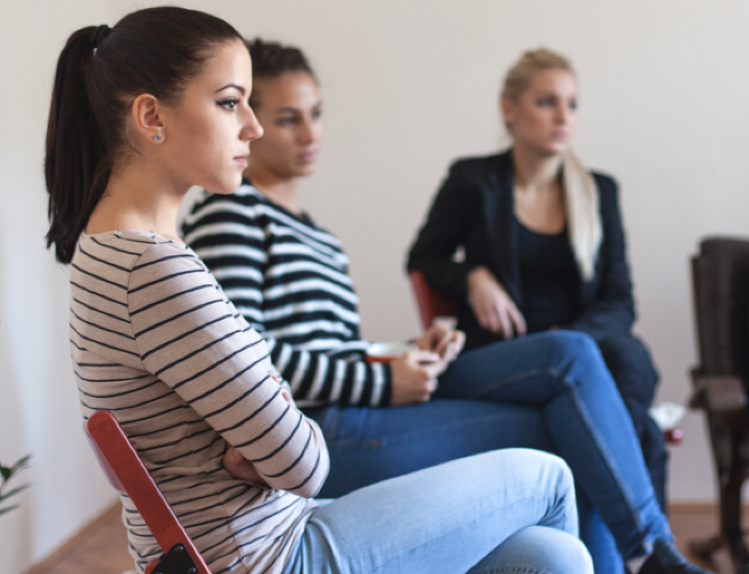 In this therapeutic environment, we address issues such as the installation of hope, the universality experienced by group members as they see themselves in others, the opportunity to develop insight through relationships, and a variety of other concerns specific to the support of substance-abusing participants and their recovery. From these perspectives, our group psychotherapy offers potent opportunities to maximize the efficacy of treatment. Our Process-Sensitive approach to group therapy finds its direction in the traditions of psychological theory and has significant range of expression. Through our interactional group process we provide individuals with significant information about how their behavior affects others. Our group facilitators focus energy on the relationships within the group. Attention is focused on the nature and growth of shared sober relationships manifested in the “here and now” as the group takes place. Our second approach is referred to as a “Directive Approach”. We offer structured goals and therapist-directed interventions to enable change in ways consistent with ways that others have used to achieve long term sobriety. We address major issues of concern for participants in order to facilitate self-discovery and growth through appropriately sequential activities. We integrate cognitive-behavioral interventions and the participants’ growing awareness of their ability to control their own belief systems and self-talk and thus control their emotional states. Participants are asked to share treatment experiences with the group for exploration and examination. Our intention is that participants who perceive their emotional world as controllable will no longer need to use substances to exert “external” control.